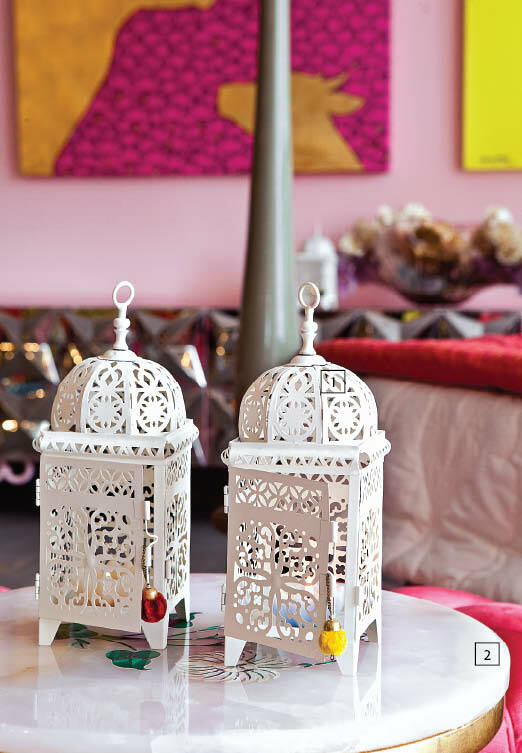 1 White lacey votives offset the colourful setting; CASA PARADOX. 2 This side table with simple but striking inlay goes well with the decor; CASA PARADOX. 3 A contemporary lamp with a base of eye-catching purple glass suits the setting beautifully; CASA PARADOX. 4 A screen need not function only as a partition. It can also prove to be an interesting backdrop. This one creates an interesting drama of light and shade; CASA PARADOX. 5 A glossy lacquered finish, elegant hammered steel hardware, a cut-glass top and drawers lined in luxurious brocade make this side table a must-have; CASA PARADOX. 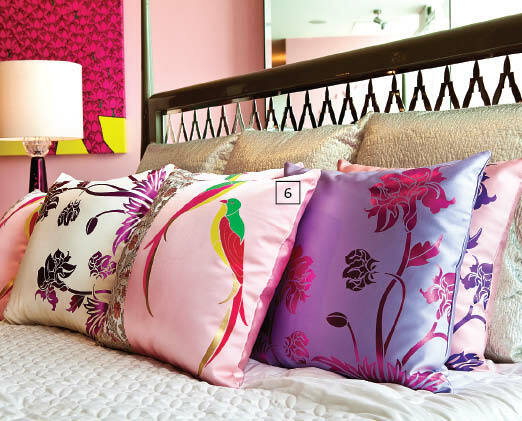 6 Sink into these cute, colour-filled and comfortable silk and brocade cushions with foil printing. Part of the Indophile collection; CASA PARADOX. 7 Bright and beautiful, these 4’ x 4’ Cow Canvases add colour and character to the snooze room; CASA PARADOX. 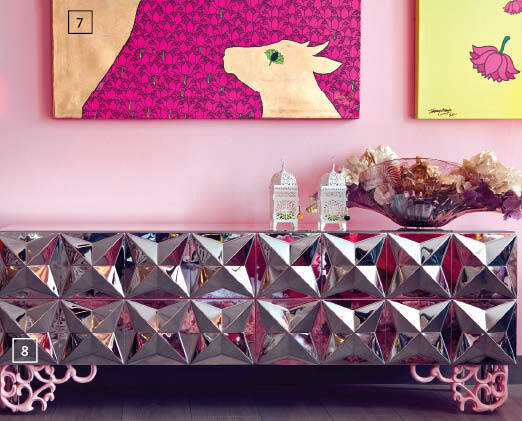 8 This console with a metallic body unpredictably teamed with pink legs, will make a stunning addition to your contemporary setting; CASA PARADOX. 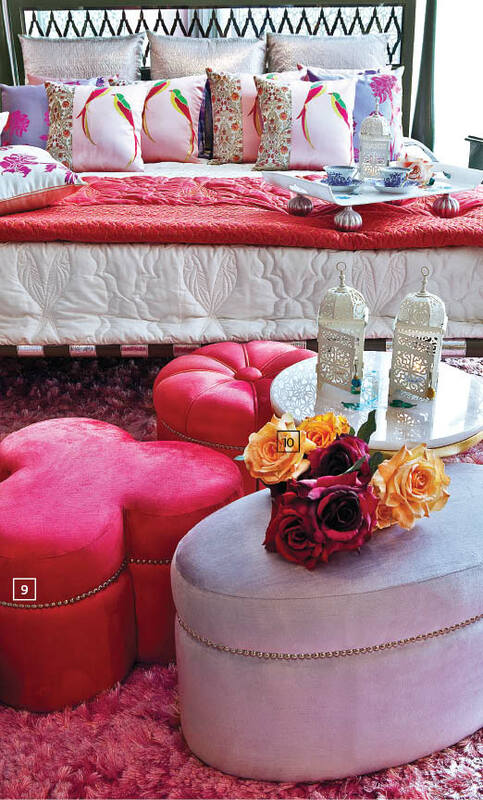 9 Lola, Mimi and Tutu, silk and velvet ottomans from the Indophile collection, increase the glamour quotient; CASA PARADOX. 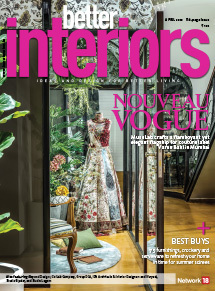 10 Blooms give interiors a fresh feel. And what if you could have some which never wither, like this bunch of synthetic roses;CASA PARADOX. 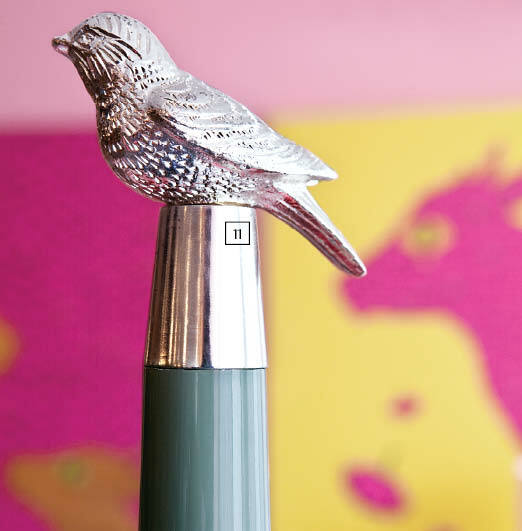 11 A modern take on a traditional four poster… the Zombie bed in taupe lacquer finish and steel has silver-coated birds for added cheer; CASA PARADOX. 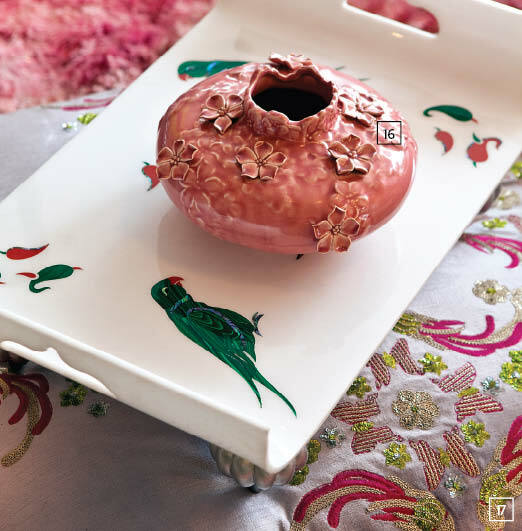 12 Part of the Indophile collection again, this unique breakfast tray with floral motifs lends a stylish twist to breakfast in bed; CASA PARADOX. 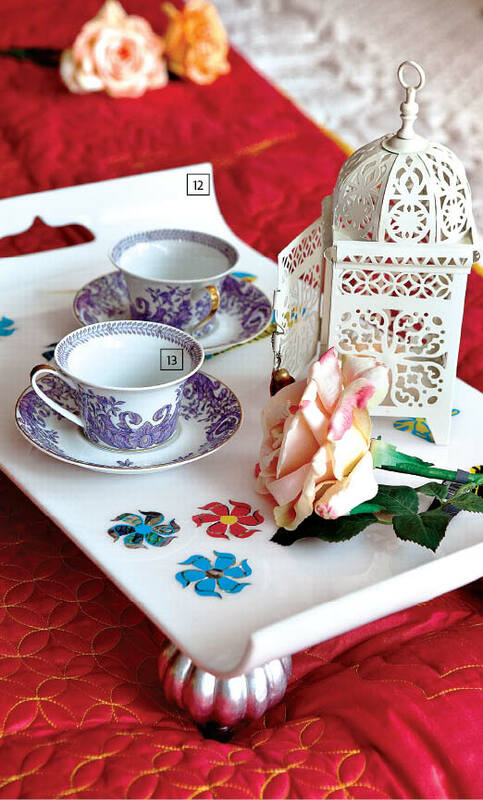 13 Sip sweet smelling teas or delicious coffee in this porcelain cup and saucer; Rs 14,900 (each); ROSENTHAL MEETS VERSACE. 14 Time to go on a quilt trip, for this duvet not only looks stylish, but also keeps you warm; CASA PARADOX. 15 The ground beneath your feet just got more chic, thanks to this soft pink shag; CASA PARADOX. 16 Keeping with the theme of the bedroom, this pink porcelain vase with a floral design is a great addition to the space; CASA PARADOX. 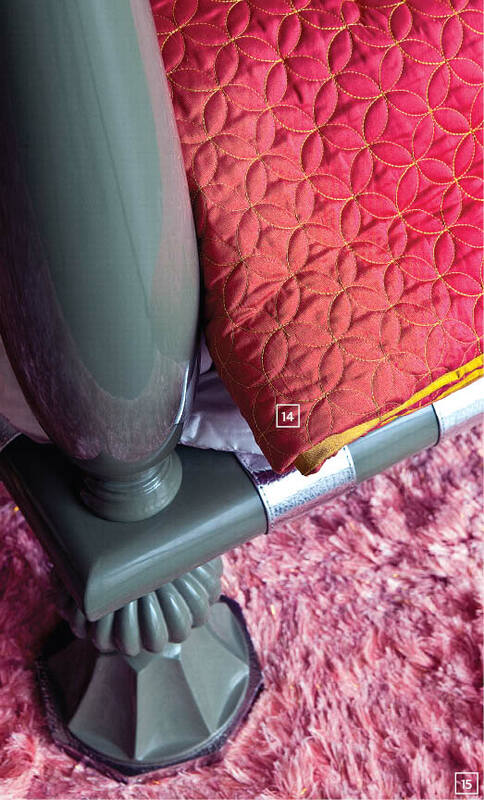 17 Sink into this pink floor cushion that looks as pretty as a picture; CASA PARADOX.